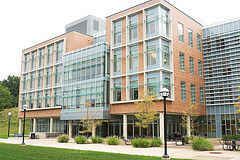 The Center for Information Technology Integration engages in advanced development and research projects, in partnership with external sponsors, that will enhance the University of Michigan's information technology environment; and transfers the results to industry, government, and education. CITI is a research and development center at the University of Michigan. Since 1986, CITI has studied and developed information technologies that enhance the campus computing infrastructure. CITI offices are now located on the University of Michigan's North Campus. Perhaps you were looking for another CITI ...?